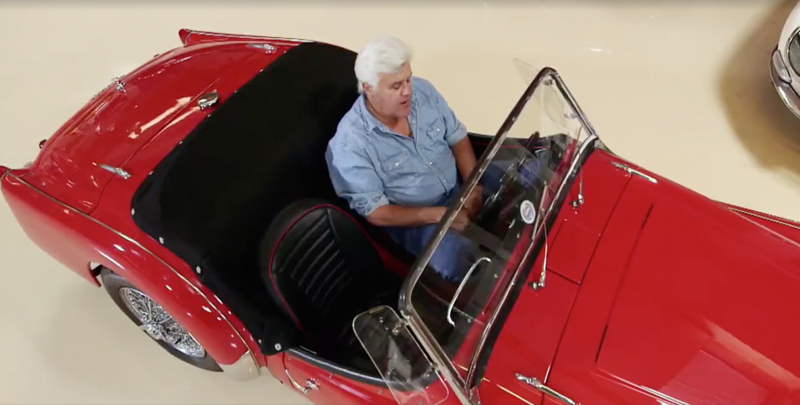 Jay Leno, the American comedian, actor and television host has spoken openly about the truly moving story behind his Triumph TR3A in his latest trail for the TV series "Leno's Garage"
The TV presenter, known widely for hosting NBCs The Tonight Show for 17 years, lost his older brother Patrick to cancer in 2002. Patrick Leno was a Vietnam War veteran and legal attorney and was quite clearly very fond of his TR3A. In the video, Jay Leno talks about how, as a result of his earnings on NBC, he was able to repair the car to perfection after his brother suffered an accident with it. The new series of Jay Lenos garage launches on CNBC, 9th November at 10pm ET and the trail can be seen below.